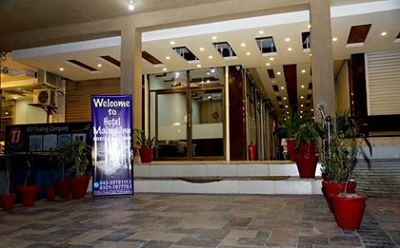 Hotel Malmo Inn is located in Civic Centre, Johar Town, Lahore. 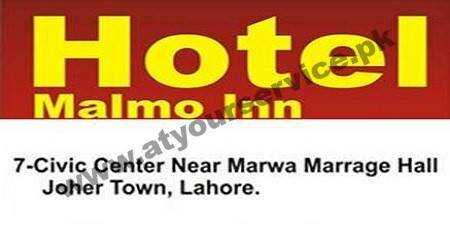 We offers decent, spacious & comfortable rooms at affordable price now in Lahore, Multan & Karachi. We are providing hotel rooms services. The rooms are stylish and decorated with art works and ornate lampshades. Each air conditioned room has a flat screen TV with satellite channels, a refrigerator, a wardrobe and en suit bathroom. Free WiFi is provided within the premises. Laundry and on site parking services are also free of cost. Car hire service is offered at a surcharge. The premises are fitted with CCTV security cameras, guarded round the clock by security personnel. Pick & Drop From Daewoo Terminal. 24-hours room service with full menu. We offer you a very special package for your family or company stay. You will always find us ready to serve you in a better manner because we believe that when your stay is comfortable, you can meet all your objective/goals.